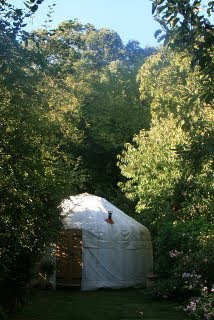 For the first time ever, Open House London has a yurt available to visit. 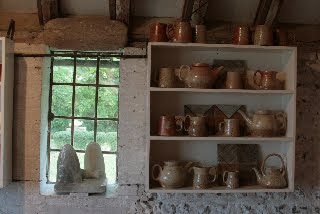 82 Priory Gardens, London will be open 2-6pm on Saturday 19 September, and 11am-5pm on Sunday 20 September: in the garden will be a yurt featuring pottery by the UK's leading salt-glaze potter Sarah Walton (on display and for sale) not to mention homemade lemonade, apple and honey. And if that were not enough, it is apparently the nearest yurt in the world to an underground station... Please do support this shedlike event as all donations will go to Shelter. Photos: Ruti Frensdorff.